Frank Wilson. Image via tigerrag.com. UT San Antonio has found a new head coach. 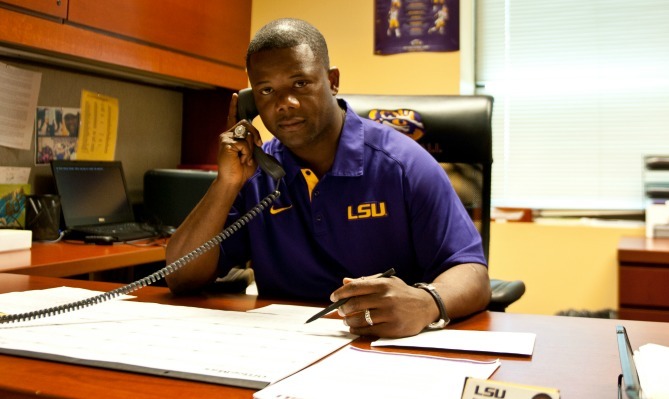 The school had hired LSU running backs coach Frank Wilson to fill the head coaching vacancy created when former UTSA head coach Larry Coker resigned in November. Wilson had been LSU's running backs coach since 2005. Prior to LSU, Wilson served as wide receivers coach at Tennessee in 2009, as RB coach for Southern Miss in 2008, and as RB coach at Ole Miss from 2005-2007.